Venous disease affects the quality of life for millions of individuals, yet is frequently left undiagnosed, leaving many to live with pain, inhibited mobility, and self-consciousness. The Center for Vein Restoration specializes in diagnosing and treating the venous and lymphatic disorders that can lead to leg swelling, skin discoloration, ulceration, and varicose and spider veins. Dr. Sean Stewart has been practicing for 13 years and founded his Annapolis-based practice in 2010. Throughout the Baltimore region, the Center for Vein Restoration currently has eight physicians on staff who provide medical care in the 11 nationally accredited vein centers. The physicians on staff are trained in all modalities to treat superficial venous insufficiency, therefore are adept at customizing treatment plans to fit each patient’s needs. CVR doctors are not limited to laser therapy and injections. Dr. Stewart is passionate about increasing awareness of venous disease. 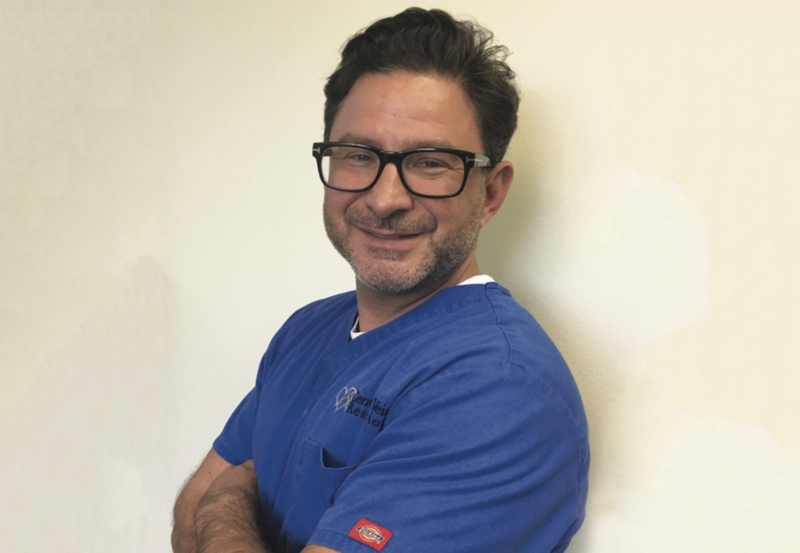 His commitment to improving his patients’ lives is evidenced in the Center for Vein Restoration’s 98 percent satisfaction rate. A successful practice, he says, improves not only how patients feel, but motivates patients to improve their overall health and become more socially engaged. Medical Director for Maryland North and Director of Sclerotherapy for the Center for Vein Restoration, Dr. Stewart works closely with leaders in the field of phlebology on research. Along with annually presenting published papers to national audiences, he speaks and attends professional conferences and participates in medical journal review sessions four times per year. Voted a Baltimore Top Doctor by his peers, he is also a physician with the Maryland State Athletic Commission. Dr. Stewart, who earned his medical degree from the University of Maryland, has a master’s degree in biophysics and physiology from Georgetown University and was a fellow with the National Institutes of Health. He trained at University of Maryland Medical Systems and the R. Adams Cowley Shock Trauma Center in Baltimore.